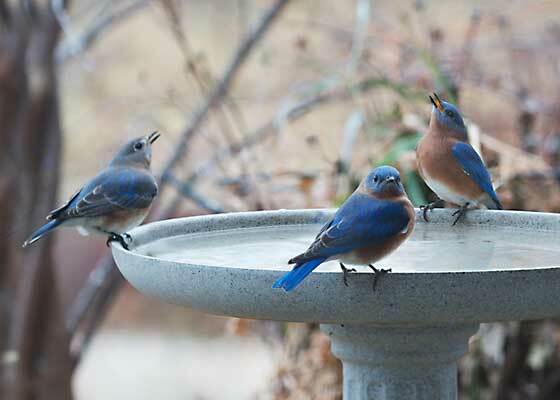 At first light, three eastern bluebirds start their day with a drink of water. They could have gone to the pond or the stream, but they choose to visit my birdbath. And isn't this happiness? Note how the female, on the left, and the male on the right tilt their heads up to let the water run down their throats. 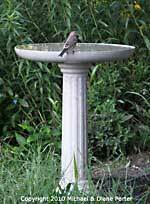 Most birds drink that way. Our favorite unheated bath is the Kozy Bird Spa. 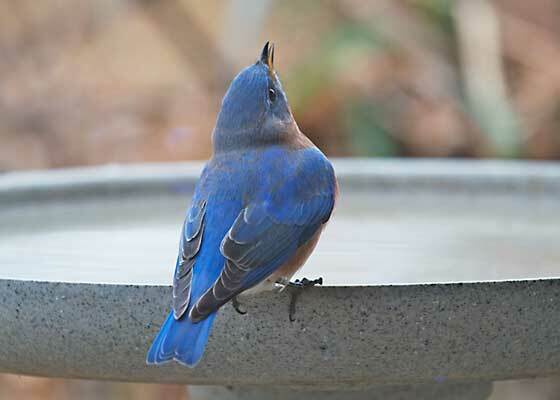 Tempt your bluebirds to come up close, with live mealworms. This mealworm feeder has clear sides, so you can watch the bluebirds inside. Put in a few mealworms, and watch the fun! It's an amazing way to make friends with bluebirds.